Our flock of 13 birds are now reliably laying about a dozen or so eggs a day. 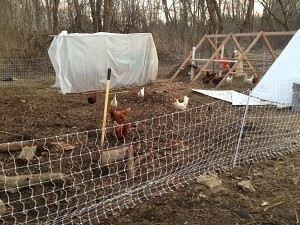 We got electro-net fencing so they have a larger area to roam in. They are digging in the dirt for worms and bugs and such. 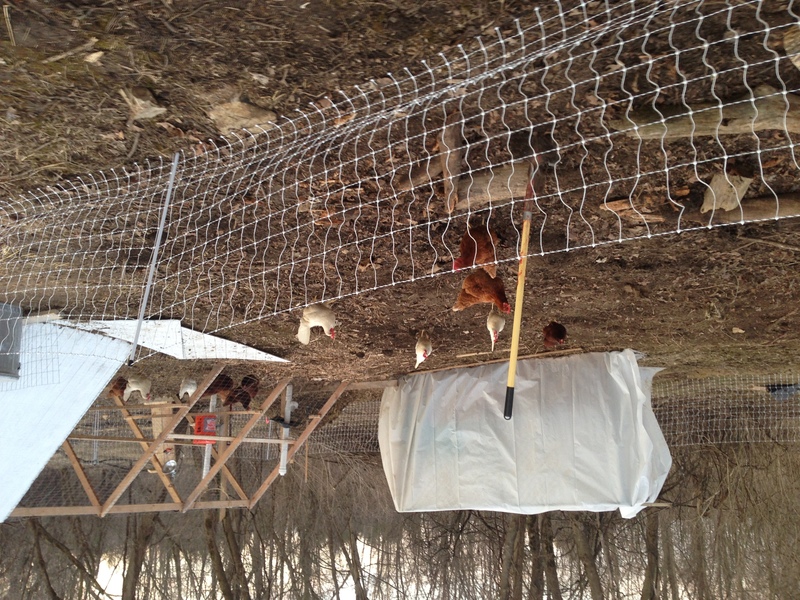 We plan on having a garden here this year so the more the chickens tear up the ground the better. They still have food available in the feeders in case they cannot get enough by foraging. 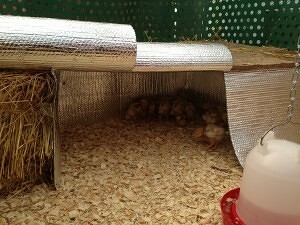 We got 27 chicks at Tractor Supply Co yesterday. They had ISA Browns that were older so they were no longer cute little chicks. But they were only $1 each so we got 24. Jacob wanted some “cute” ones as well so we got 3 little New Hampshire Reds. We build a brooder out of a dog kennel covered in plastic plus some bales of hay and radiant barrier insulation with pine shavings on the ground. Jacob made a video report, check it out below. This entry was posted in chickens, homesteading and tagged Backyard Chickens, Brooding Chicks, chickens. Bookmark the permalink.